To me, perfume is strongly linked to memory. I remember smelling Mugler’s iconic Angel fragrance in the Harrods beauty hall over a decade ago and falling in love with the unusual and distinctive scent. Angel is one of those scents that makes me feel nostalgic now and I’m far more about the intoxicating Alien perfume these days. Fast forward to now, and imagine my delight when I was invited to discover the new Thierry Mugler perfume, Aura. New launches from Mugler are far and few between so due attention must be paid. Housed in a bottle that gives me disney villain meets Elphaba vibes, it’s a thing of beauty and looks suitably jewel-like for perfume royalty like Mugler. Aura was created as a barrier between botanical and animal – bringing a new scent to the urban jungle, so to speak. It’s got a very green feel it upon first spritz, and instantly reminds me of something tropical – without being sweet. I’ve never really smelt anything like it before, so it’s classic Mugler in that its an innovative new blend! The notes are complex and layered – there’s ‘tiger liana’ as an opener, something exclusive to Mugler, as well as rhubarb leaf and orange blossom sitting in the middle. As the heart note there’s boubon vanilla and wolfwood which rounds up the whole thing and adds such a smokey warmth to the initial green. Overall, I’d say it’s mouthwatering. So much more than a one-note green or gourmand and not sweet or sickly in the slightest, and it’s got an addictive freshness to it. I’m wearing it as I type and I’ve gone to smell my wrist approximately 82 times. 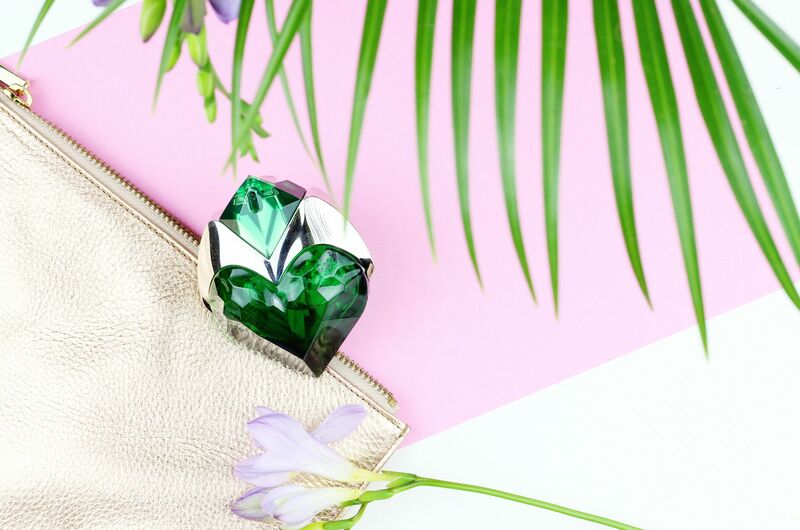 Are you a Mugler fan?